Joffrey Baratheon, the boy king, may be sitting on the Iron Throne, but this season belongs entirely to his uncle, Tyrion Lannister, and his development as a key contender in the ‘Game of Thrones’, as he suddenly finds himself in the powerful (yet vulnerable) position of being Hand of the King, a position recently left vacant by the dead Ned Stark. Whether he’s threatening older sister Cersei or bonding with her, indulging in banter with Bronn or presiding over Small Council meetings, Tyrion is a scene-stealer for his razor-sharp wit and his preference for brain over brawn, a quality that will help him save King’s Landing against new forces. Speaking of key contenders, season two also sees the introduction of Stannis Baratheon and his crew, which includes Ser Davos ‘Onion Knight’ Seaworth and the foreign red priestess Melisandre, adding some powerful magic to the mix, if baby dragons weren’t enough. We are not huge fans of Daenerys Targaryen’s arc through this season, suffice to know that by the end of season two she’s managed to find herself an army and has engaged in some active SJW work, freeing slaves and championing women. 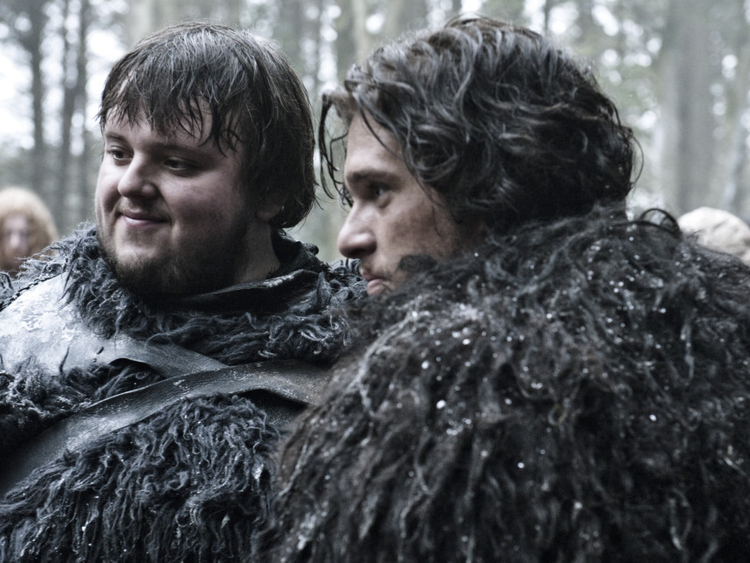 While Robb Stark, oldest of the Stark children, continues his journey South to avenge his father’s death and bring back his sisters, Sansa and Arya, Joffrey Baratheon also has to deal with a new threat, that of the utterly humourless and personality-less Stannis Baratheon, who has declared himself the rightful heir to the throne after the death of his brother Robert Baratheon, and the tiny other detail that all of Robert’s children were actually born out of ‘twincest’ between Cersei and Jaime Lannister, and therefore have no claim on the crown. 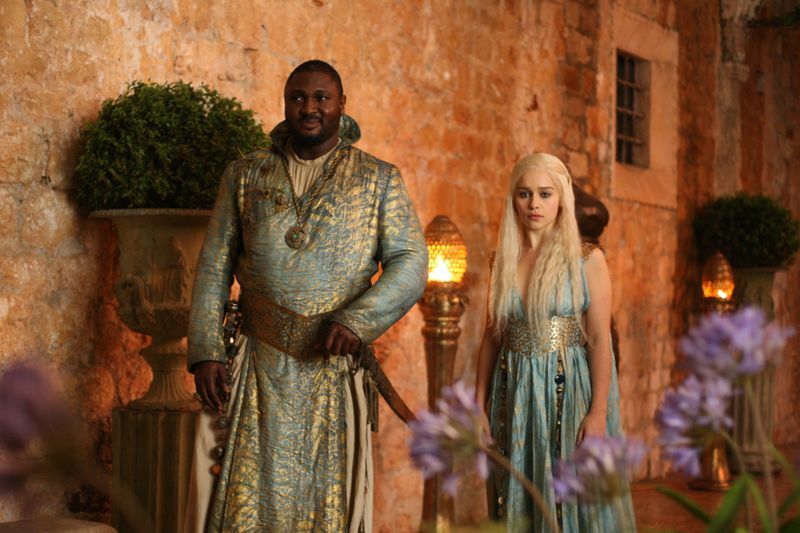 Daenerys Targaryen and co arrive at the city of Qarth, and meet the Thirteen, the leaders of the wealthy port city. 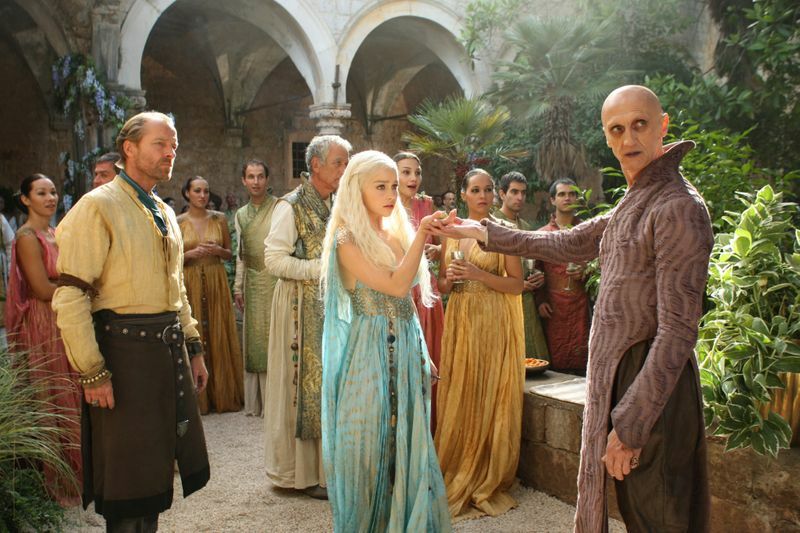 A squabble and a blood oath later, Dany and her ‘horde’ are granted asylum. 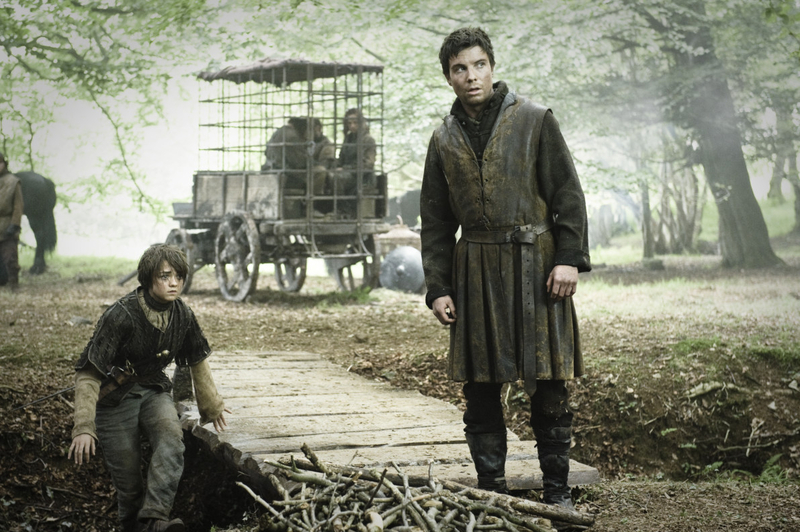 Arya Stark, Gendry (Robert Baratheon’s illegitimate son) and Hot Pie are taken to Harrenhaal, a stronghold for the Lannister army, where she inadvertently becomes cupbearer to Tywin Lannister. 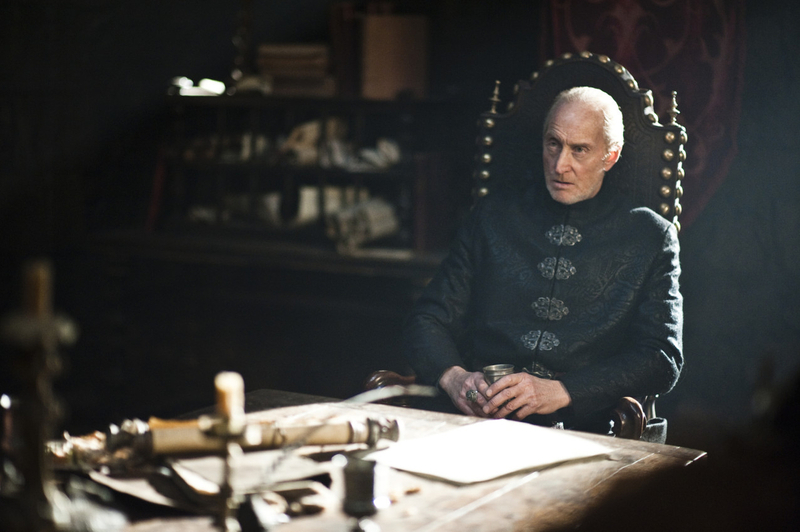 Tywin being Tywin recognises that she’s a Northener AND that she’s high born, but he somehow doesn’t put two and two together and figure out that she’s THAT specific Northener and THAT high born; but the twosome make for an interesting pair and have some intense conversations that make up for the time Tyrion is not on-screen. 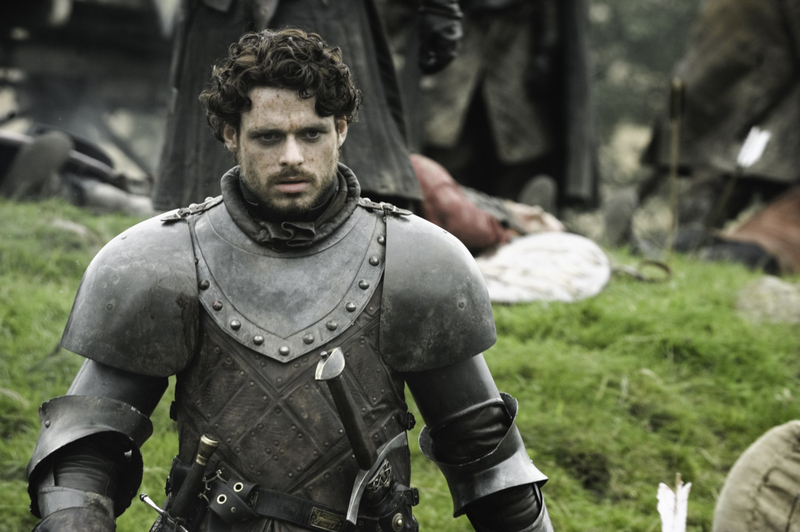 Robb Stark meets the comely nurse Talisa and falls head-over-heels in love, forgetting about that pesky engagement of his with one of Walder Frey’s daughters in exchange for his troops using Frey’s bridge. This will come back to bite him next season. Also, a suddenly heavily pregnant Melisandre gives birth to a horrifying smoke baby, who immediately shimmies off to go murder Renly Baratheon, leaving Stannis as the only living Baratheon sibling, further solidifying his claim. 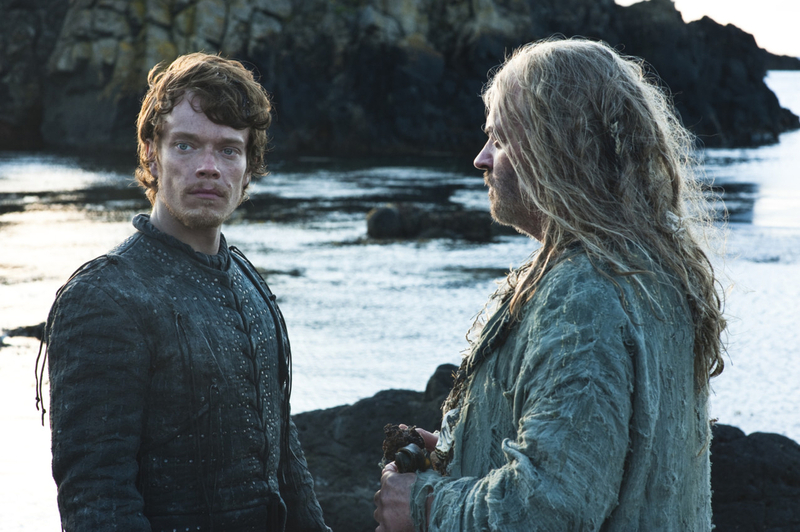 The first full-scale battle to be ever featured on the series is a Tyrion show through and through. From his rousing speech to his cunning plotting with that ‘wildfire’ business, he proves again and again that he was born for the court. The battle itself is a showdown between the Baratheons and Lannisters, a meeting that has been hyped since episode one of season two. 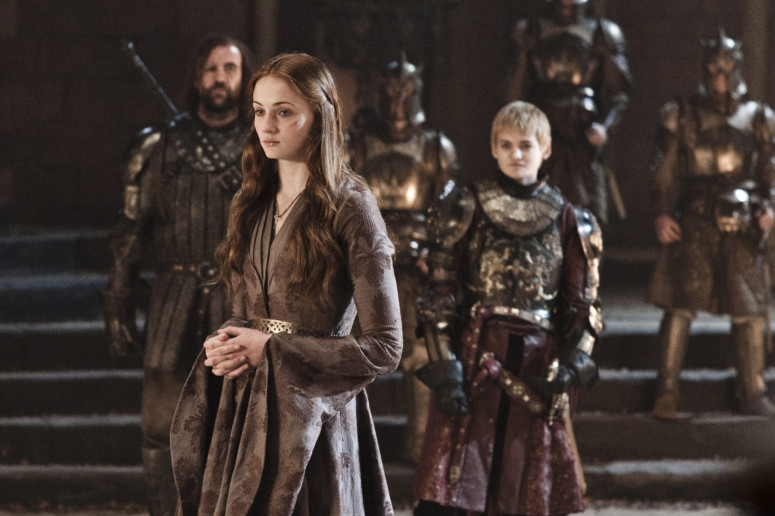 Unlike every single episode before it, ‘Blackwater’ doesn’t follow the parallel storylines of all its major characters, and instead, focuses on the action at King’s Landing, and Stannis’ eventual defeat. Arya, Gendry and Hot Pie flee from Harrenhaal only to run into their mysterious saviour, Jaqen H’ghar, one of the Faceless Men, a religious society of assassins who worship death. Arya’s offered the chance to learn the ways of the assassin, but she declines so she can reunite with her family. Before departing, Jaqen hands Arya a special coin and the phrase “Valar Morghulis,” which Arya can use to track him down if she changes her mind. 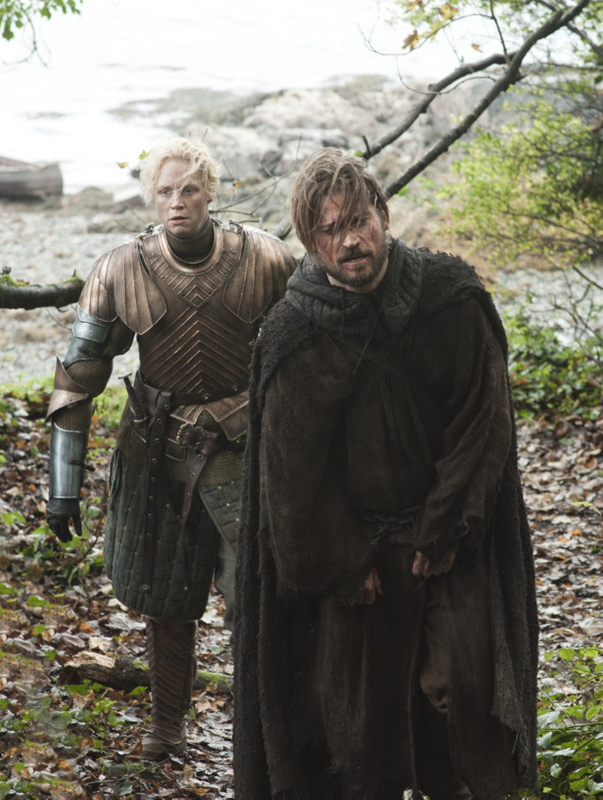 Bonus fun: Brienne of Tarth and Jaime Lannister travel to King’s Landing and these two are quickly becoming one of our favourite twosomes on the show, next only to Tyrion and Bronn, and Arya and the Hound.